Since 2006 I have been an active teacher. This profession has taken me everywhere from working with classical guitar classes in New Mexico high schools to Elementary students in Japan to a variety of private students of various musical instruments and genres everywhere I've been. Since relocating to the Bay Area in 2010, I've had the pleasure of working with lots of great students from kids to adults with a wide range of ambitions. Since 2012 I've been running my own full time studio. I started my own music education service in the Bay Area in 2011. I started by offering in-home lessons and eventually expanded to opening a studio for individual lessons as well as band classes, workshops, and summer camps. I've been working with TakeLessons since the fall of 2010. I've worked as an in-home, in-studio, and online teacher for a variety of subjects. I've also been appointed as a member of of the TakeLessons Teacher Advisory Panel and as a Team Administrator for their Google Helpouts initiative. When I first moved to the Bay Area one of the first contracts I landed was as an aide for a month long rock band class offered in conjunction between The Riekes Center and The Summit School District. Since then, I worked with Riekes Center on many occasions for music classes, camps, special workshops, and one-on-one classes. For the 2009-2010 school year I taught English at four public elementary schools in Takaski-city, Gunma-Prefecture in Japan. During this time I planned curriculums for a wide variety of classes. Students ranged from 1st grade to 6th grade, and some groups would have weekly classes while others would only have about 3 classes over the course of a year. My classes were often built on participation, games, music, and movement. Orff Schulwerk is a method of music education designed by Carl Orff. It focuses on learning through organic methods of approaching music and movement. Here's some of my students performing in March 2019. Here's some of my students answering questions about a camp I run in the summer. Here's some of my students at a camp I ran in Summer 2018. 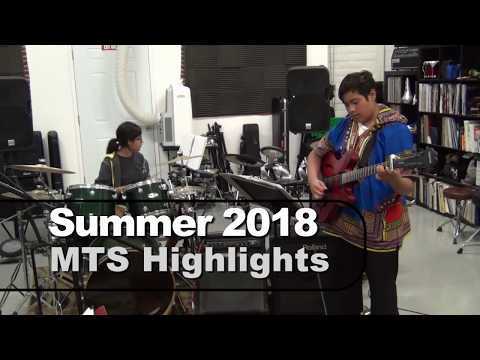 Here's some my students performing in Summer 2018. Here's some of my students performing in the Spring of 2018. Here's my students performing at our Summer 2016 music event. Here's my students performing at our Spring 2016 music event. 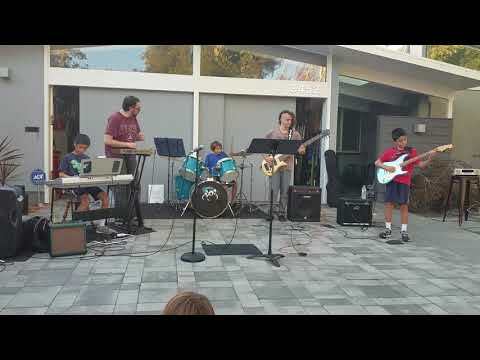 This is my band classes performing at our Winter 2015 music event. 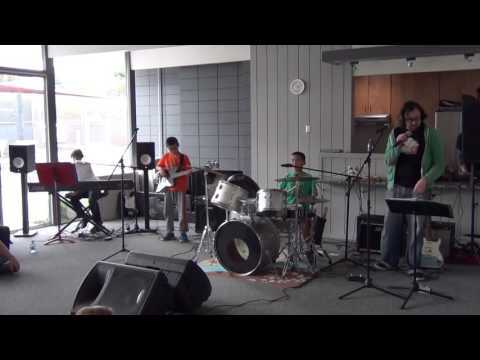 Here's my younger students performing at their Summer 2015 Recital. Here are my band classes performing for their Spring 2015 Showcase. 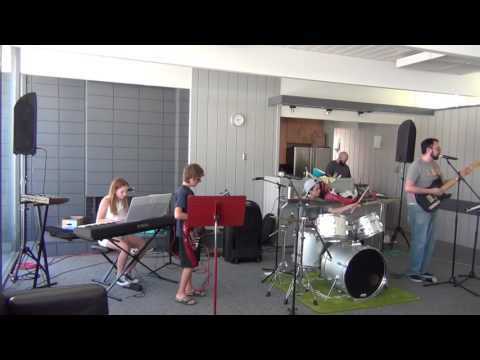 A group of my students do a big collaborative version of Eye of the Tiger by Survivor. Here are some of my younger students performing for their spring recital. This is video of some of my students different events and lessons during 2013. 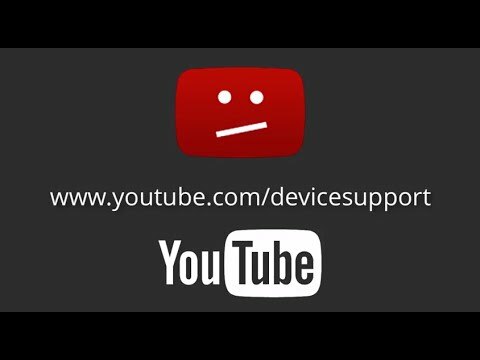 All copyrighted music belongs to it's respective owners. This is one of my Band Nights that I host for my adult students to meet each other and play some music. Here is our last recital of 2012. All songs are the intellectual properties of their respective rights holders. 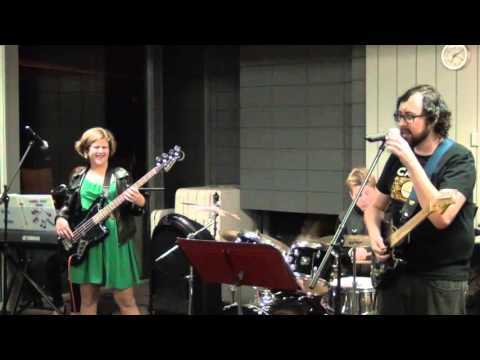 This was another one of my adult students' Band Night events. Here's some of my students performing for one of the recitals I hosted. This is one of the songs I performed while I was studying music back in New Mexico. This is a performance of an original song that I did as part of a recital at the university I studied at back in New Mexico. Here's an excerpt from Bach's Herz und Mund und Tat und Leben (BWV 147). Here's a documentary I helped a high school guitar class I taught put together. It contains covers of several songs, all rights go to their respective owners. 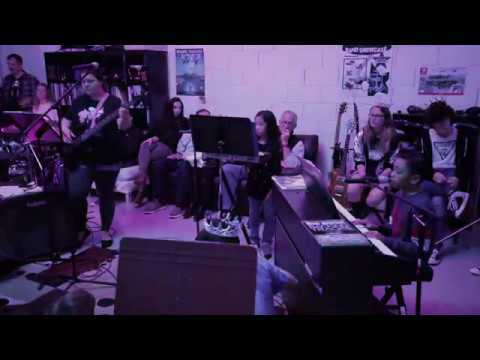 This is a video song project I did with a high school guitar class I taught for the summer of 2013. The song is "You're Beautiful" by James Blunt. All rights go to him and his record label. This was my favorite band that I played with during my time living in Japan. A shot from one of the venues I played in Japan. 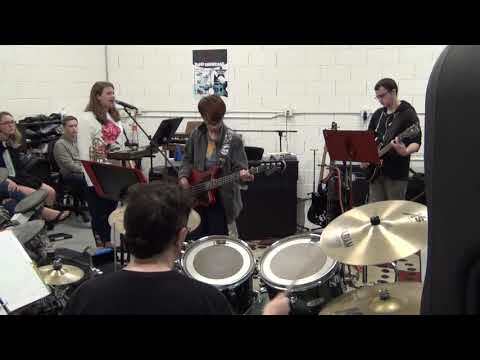 A big group of my students do a collaborative version of 7 Nation Army by The White Stripes. The inside of my section of the MTS Studio. One of the mini-recitals at the studio. Performance at the Little Fox in RWC. Performing with my old band in college. Here's my students performing at our Spring 2017 event. This is a video of one of my band classes that had a four and half year run. Thanks so much Zombie J.A.M. for all the good memories! Jesse is very knowledgeable and a really good instructor for beginners, as he makes sure we learn strong fundamentals . I started my violin classes as a beginner and could see my learning curve is ramping up very well. Our son has been taking trumpet lessons with Jesse for almost a year now. It’s been a wonderful experience working with Jesse! He is a kind and passionate person. He cares about his students and motivates them in a positive way! Our son comes home telling us how nice and talented Jesse is. We are very happy to be working with him and Jesse is a great teacher! I really enjoyed taking my lessons with Jesse as a novice singer. He is a true professional, and I like how he tailored his approach to my individual style and needs. Can't recommend him enough! Jesse is a really good teacher in not only just tuba, but music in general. He explains musical concepts in an intuitive way through patterns or playing it out to the student. I really enjoy the lessons I have with him and I feel that I'm becoming a better musician. This was my son's first lesson, and he is looking forward to playing his trumpet and coming back for more lessons. I was hoping to spark his interest in music and so far so good. After a break of more than a year I wanted to restart my Trumpet lessons. I chose Jesse based on the reviews and Jesse did not disappoint. He is very patient and focused teacher. I liked his structured method and tools he uses. I was able to get back in groove in no time. I cannot ask for a better teacher for my son! Jesse is charismatic teacher and a role model. Jesse taught my daughter a lot of information about the trumpet that she had not learned in her school band. He talked with her at her level and encouraged her. John really enjoyed the session today because Jesse accompanied on guitar while he played his favourite music. At 10-years old, it's so important to not just be drilled on the fundamentals but have moments like today when he can just learn through play. Thanks Jesse for picking up on this! I am so glad I began taking lessons with Jesse. After maxing out on what I could teach myself I wanted to learn from an instructor who understood music and could explain music conceptually instead of memorizing what to do. Jesse is great at delivering the "why" and also sharing practical techniques to make you better. As an adult student of intermediate skill level, I was looking for a guitar teacher to improve my picking technique and my improvisational skills. In the first two lessons, Jesse observed what I was struggling with, and he took the time to understand what I enjoyed working on the most. He custom-tailored a practice plan for me, and we keep updating it from lesson to lesson, depending on my progress. Thanks to Jesse, both my dexterity and my ability improvise have increased quite substantially already. Jesse quickly understands your skill level, he delivers perfectly tailored instructions, and he helps you get your skills to the next level. Jesse is very knowledgable, and competent at playing and teaching. He is patient, flexible, and good at communicating. I love the studio space, too. We've only had a few lessons with Jesse but my son really likes his teaching style and is always looking forward to his next lesson. Jesse is a great teacher. He is very patient and caring. He taught my daughter at her pace. He tried using different methods to help my daughter to comprehend quicker and easier. I came there 10 minutes early. He started the lesson immediately. Also at the end of the lesson, he allowed parent time to discuss any concern I might have. We like Jesse a lot! Jesse is highly skilled and it was evident with every instrument I ever saw him play. What sets him apart from a lot of other music teachers I have had is that he focuses on what YOU want to learn. He takes in account your current skill level and incorporates the necessary practice regiments that will help you improve while still keeping it fun and engaging. It is also awesome that he provides band lessons. Learning to play with others is an integral part of learning and enjoying music. I wish such a thing was available back when I was first learning how to play an instrument. I've been taking piano lessons with Jesse for a few months, learning how to improvise. He knows alot about music theory and communicates the concepts clearly. I was surprised how much I learned in such a short time with him. He is clearly very experienced, and once I told him my music goals, he quickly put together a plan to help me progress. I continue to take lessons with him because they are enjoyable and I believe I am becoming a better musician. Jesse has been doing a great job with my daughter, he is able to relate to her maturity level keeping her interest while making it challenging. Can't wait to keep taking more lessons. My son's first experience with a stand up bass was terrific! There was as much smiling as learning. Thanks Jesse! Jesse is a great instructor. I've been taking piano classes from him over Skype for about 4 months. He's both knowledgeable and fun, which greatly adds to the effectiveness of the lessons. I'm consistently impressed with his patience, resourcefulness, and ability to help me work through problems even when I'm struggling. Jesse uses a wide range of online tools to help teach music theory, which is great since I'm a visual learner. All in all, I've been very impressed with his teaching style and the results I'm getting. I absolutely recommend him to anyone looking for a great instructor. Awesome! Jesse is an encouraging and knowledgeable teacher! Only had one lesson so far, but I look forward to more! My first experience was great! Looking forward to the next class for sure! I came to Jesse to work on theory and piano skills before leaving to study music in college. I've been working with him for two months now and have already seen a lot of improvement in my musical understanding and fluency. He is skilled at teaching concepts in an approachable way that makes applying knowledge in various genres very easy. Beyond his musical skills, Jesse is also consistently prepared, organized, and ready to teach. His wealth of playing and teaching experience and broad perspective in musical genres leaves me feeling like I've learned something every week. Very friendly. Will walk you through at the pace you need. Will continue lessons with him and would recommend him. I have been taking piano lessons with Jesse for 3 months now and really like his approach, his musical knowledge, and his ability to get me over the technical problems I am having. His approach is both instructional and fun. Some of the take home material allows me to solidify my knowledge of musical theory while also mastering new techniques. I really like that I get to chose the songs I want to play and I really like it when Jesse plays along on bass, drums or guitar. It really helps me feel the music! Jesse is a great teacher, I would recommend him to everyone! Jesse is great. He is teaching my son trombone and he is kind, patient and knowledgable. Jess is a very patient teacher who knows how to be strict on the right things. He has a great deal of skill and knowledge of music and music theory. He actively encourages his students to play what they enjoy playing so that lessons and practice do not become a chore but rather something they enjoy and look forward to. He lets students determine their goals and work towards thing they want to do and play. But he also make sure those students stay on their goals and put in the work and practice needed to reach those goals. He is a great teacher, from beginning students to advanced students in multiple instruments. My kids have been learning from Jesse for nearly two years now and we are so grateful to have found him. They had already taken a few years of ukulele, and so wanted to branch out to guitar. 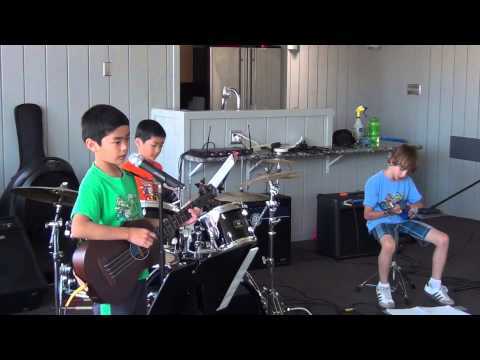 Now, they have started exploring several instruments (electric guitar, drum, keyboard, bass guitar/ukulele) and they look forward to their private lessons and band lesson every week. 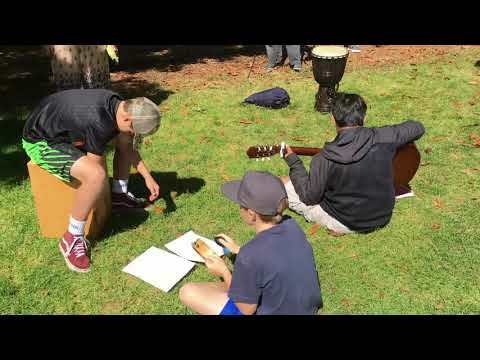 Jesse is a gem - he gives students a chance to direct their own interests in learning music (they suggest their own song choices to learn from), and encourages them to be responsible with the equipment and their practices. My kids really look up to him, and he is a fantastic role model - a great combination of skill, dedication, and teaching, but also really fun-loving. You can tell that he really loves what he does. He is also very professional and responsible, and an incredibly nice person. Highly recommended without reservation. I met Jesse as a fellow musician when starting a band. Though I could PLAY bass, I didn't have the knowledge to apply theory and other tools to improve my playing and speed up my learning. Jesse started teaching me how the fretboard works (other than just numbers), keys, and the corresponding modal scales, and even technique for playing better. At first I was confused and impressed by this new world, but his ability to break down each element, and apply it to your personal learning style is really beneficial to any player. He's helped transition from playing bass like a rhythm guitar to playing bass like the instrument it should be, and opened me up to many opportunities to play with his other students as well. Definitely the teacher to check out if you want to improve your playing, and know you have the drive. He will call you on it, if you haven't been practicing! My 9 yr old son has been studying drums with Jesse for about 3 years now. He recently also started piano and ukulele. Jesse is a wonderful teacher. He knows his stuff, is patient but strict and gentle but firm. He even hosts recitals for his students a couple of times a year. We feel very fortunate to have signed up with Jesse. If you are interested in learning an instrument you will be glad to have Jesse as your instructor. My 11 yr old daughter has worked with Jesse for three years. She has had lessons on piano, ukulele, bass, rock guitar, trumpet, trombone, voice and drums! This is a kid that loves exploring different instruments, and Jesse has been so flexible in having his teaching style meet up with her learning style. She has a great deal of fun learning from and jamming with him, but he also pushes her to stretch and grow as an overall musician (music theory, voice development, physical strength to support different instruments). As you learn songs, you acquire so much more than the song itself. We highly recommend Jesse! Jesse is great! I'm an old lady with no musical ability, yet he has the talent and patience to teach me ukulele!!! He is flexible with the lessons, concentrating on whatever is giving me issues that week. I love that he customizes your musical goals: I will never be Jake Shimabukuro, but I will be able to play along the next time someone says "California Dreamin' in G". I definitely recommend Jess to all the old ladies that want to learn an instrument - and everyone else! Next stop....bass guitar! Jesse has been a wonderful guitar and piano teacher for my 17-year old son, and has been above and beyond patient with him. He has tried a variety of techniques to encourage Jack's interest and to inspire him. I am sure that Jesse's very personalized teaching style would be great with any age student. I can attest from experience that he can really relate to teenagers. He will not give up on them and truly wants them to learn--and to love--music. Jesse is a fantastic teacher. Really loved the way he had my daughter start working immediately on popular songs from her favorite artists--that was just a wonderful way of keeping her interested while also working on basics. He always tries to get her to think for herself about what's she's doing. He also has the patience of a saint for those lessons when she seems to be mentally out of it! Jesse is a great instructor. I'm an adult who had no experience with music before. He is very patient and finds new ways to explain concepts I don't understand the first time. He uses my favorite songs to teach me new skills. He also takes time to find other songs for me to play. He urges me to do my best, and not to be afraid to make mistakes. I have learned a great deal about music and can hardly wait to go to my lessons! Jesse gave me a great run-down on what he was working with my son on his lessons and my son was quite pleased with his lessons. Unfortunately even this short period of time, his workload at school prevented him from practicing enough. I've had a great experience with Jesse so far. He clearly knows what he is doing. My learning experience as an adult has been a lot of fun so far. Jess is dedicated, patient, and confident teacher!!! I am so happy that I have found Jesse as the ukulele teacher of my 7 years old son. You can tell that he lives for music and it's not just a job for him teaching students. He is determined but patient with the kid and really has educational skills. Jesse is a fantastic instructor. He is talented, fun, and has a passion for music and teaching. He is an excellent choice for anyone looking to learn about music. I really enjoyed my time with him, and I intend to continue lessons with him. I was very lucky to find Jesse. This guy knows what he is doing. I had another guitar teacher that had no lesson plan or real approach. Jesse got me on track and gave me the tools I needed to start playing from the beginning. Don't waste your time on other teachers if you really want to learn go with Jesse. Jesse is the perfect instructor for my family. We have been with Jesse for 9 months and my 11 year old son still looks forward to his lessons and practicing. We started at beginner trumpet, then added voice lessons and will soon start the family guitar lessons. Jesse's lessons are never boring. He always does something new and always asks what the student wants to play. Jesse is more than an instructor because he has taught my son to love music. He has exceeded my expectations. I'm satisfied with his lessons because my son is totally a beginner of trumpet but enjoys playing it. My wife also communicate with him easily because he can speak in Japanese. Jesse has done a great job in teaching me through the basis of music. Very pleased with his performance. Jesse was fantastic. I'm someone who can barely match pitch, but Jesse helped find my range, and gave me some practice advice. I look forward to taking more lessons. Don't feel nervous, he's very friendly, and cool! Jesse taught me and my son lot of interesting things about songwriting and composition. He went out of the way, and was very inspiring. Thank you! Gave me a ton of tips on making my voice better, as well as things for me to do alone to improve my voice. The teacher was extremely knowledgeable, and I can't wait to work on everything he taught me. Jesse M is a patient, well-rounded, amazing music teacher! I started taking lessons with Jesse nearly 3 years ago! I was looking for a bass guitar teacher with chops; someone who could teach useful theory and easily play different genres. But since I am rooted in piano & voice and wanted to also learn drums one day, I knew that I would like a single teacher who had the ability to meet all of my needs. It took a while to find Jesse but he is awesome! I'm now 6 months into drum lessons and loving it! I should have done this a long time ago! And Jesse's teaching style (often accompanying you on another or the same instrument) makes learning much easier. Find Jesse and learn music that you've been thinking about playing for years! Jesse is amazing at really taking original songs to the next level musically. He knows how to really connect with his students and see their full potential as artists. Jesse Was perfect and explained everything in detail. He was very friendly and really showed me how to take breaths and basics of singing. My instructor informed me about the structure of chords! My instuctor explained it very well, thanks HELP OUTS! Had an amazing helpout with Jesse! He knows so much and he's a great teacher! He helped me try and kickstart my creativity and try to improvise by giving me practical solutions backed up with music theory so I could really understand what I'm playing and how to transpose it later on. Highly recommend him! It was my second lesson with Jesse. He's really friendly and quite helpful. Jesse was great and well prepared. I scheduled this Helpout a day in advance and Jesse promptly emailed me and helped me set some goals to achieve during our Helpout session. I recommend Jesse to anyone looking to learn the essential skills of songwriting! Jesse was a great help! He personalized the session and really adhered to my vocal range. Jesse's teaching style is a balanced combination of structure and flexibility. From each session to the next, the topics that we work on get unravelled. I believe it is planned that way so that I can absorb the concepts bit by bit. However, Jesse is flexible enough to teach me what I want to learn and to adapt to my learning pace. I see a lot of value in working with Jesse and I will try to make room in my schedule to continue my lessons with him. Jesse has worked with all 3 of my kids. Trumpet, piano and guitar, including voice. Jesse is passionate about music and sharing it. He loves what he does and his enthusiasm translates to the students. He inspires them to push their limits and really enjoy the experience. He is professional, experienced, interested, and easy going but very reliable--a rare combination. I have been consistently playing guitar for over 15 years, and within one lesson Jesse taught me new approaches to both guitar and songwriting that immediately inspired me. He has a great depth of knowledge and passion for music, and that comes through in each lesson. He quickly pinpointed the areas I needed to practice, and helped me craft a practice routine, and he continues to show me areas I can improve during each lesson. He plays many different instruments and uses them to teach, which comes in especially handy for learning rhythm. It also means I get to practice playing along with those different instruments, which is always a good thing. He has an easygoing attitude which makes learning easy, as I never feel intimidated or afraid to ask questions. I look forward to my lesson every week! I'm in my early 20's, and have been taking vocal lessons with Jesse for a few months. I started with zero singing experience. Jesse is a talented, patient, and attentive teacher. I have learned a lot from him, have learned specific vocal exercises, and have gotten lots of useful pointers based on my singing. I would highly recommend Jesse to anyone that wants to learn to sing. Our son has been taking drum lessons from Jesse for over a year now. We are amazed at his progress and so pleased that he has developed another interest outside of sports that will provide him life balance. Jesse's teaching style keeps kids interested and motivated. The various things he is working on challenge our son weekly. He struggles with a new rhythm and then after practicing it is able to figure it out. I think that weekly feeling of accomplishing something through practice is such a good lesson for our kid! Each time we ask him if he wants to continue with lessons he says "Yes!" Thanks Jesse! This is not the piano teacher you remember! Oh how I wish I had a teacher like Jesse when I was a kid! He grabbed my daughter's interest from the beginning by teaching her to play a simple version of a song she loved. He then got her comfortable with the piano in general- then moved to reading and playing sheet music. She will play and practice 1-3 times a day and it is not forced or timed. I love this! I feel like she is being appropriately challenged and learning what it takes to become a good artist! He has a lot of great equipment that is fun for the kids and is very on top of music and technology. Thank you Jesse! I feel very grateful to have found and now be taught by Jesse. Despite my considerable age beyond his, he treats me as a peer and has kept me on my toes with learning tasks. Further, lessons are actually fun as well as challenging and about once a quarter, we have "band night" where many of his active students come together to socialize and to "jam" together. I've had other teachers in my life (I'm in my 60's) and Jesse is by far the most intelligent, skillful and enthusiastic. My only regret is that I didn't find him sooner. We needed a Trombone teacher for my 7th grader this past summer and Jessie was available. He has since then proven to be a lovely teacher - very knowledgable, supportive, easy to understand and professional. I would definitely recommend him to other parents. Can't say often enough how lucky we are to have Jesse found as the drums and guitar teacher of my two sons. You can tell that he lives for music and it's not just a job for him teaching students. He is determined but patient with the kids and really has educational skills. Furthermore he is absolute reliable and committed. The regular recitals combined with a pot luck at his place are really fun! Jesse M. is an awesome music teacher who is extremely easy to work with and very knowledgeable. I started out playing guitar, and have now done everything from drums, bass, singing, piano, and composing. He is very passionate about music and encourages all of his students to have a love for music while they learn. Jesse is super talented, and very patient, and in general, makes learning an instrument or anything else a really fun experience. I would highly recommend him to anyone! Jesse is an incredible instructor and extremely friendly and knowledgeable. I have been taking drum lessons from him for just a few months and have improved incredibly since starting out knowing nothing. Very encouraging, and great at spotting aspects to improve upon. Also, he puts together band nights with all of his students (across many different instruments) which are incredibly fun, and a great way to get practice with others. I came to Jesse haven lapsed from piano for over 10 years, and looking to get back into music. He provided a great mix of flexibility in what we would play, and giving me the technical basics of playing. An added bonus was the get-togethers with other students when we were able to play together, very fun. 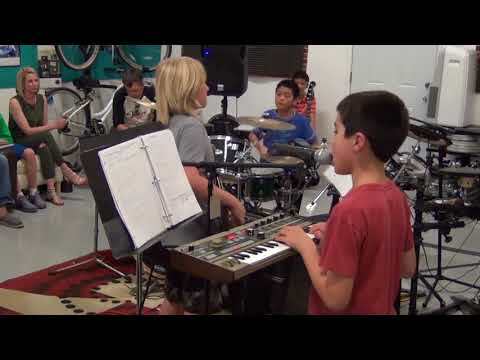 Fanstastic teacher for my 7-year-old little drummer! We originally chose Jesse because we found out he could teach just about any instrument and my 7-year-old son wasn't sure about what he wanted to play. On the first class he tried the drums, and he never wanted to let it go. My son is a particularly challenging student because he is highly distractible, and Jesse was extremely patient and very organized/methodic with him, and therefore able to keep him on track. My husband plays in a band, and we both think Jesse is a super talented teacher who offers lessons with a great balance between fun and actual learning of good musical habits. 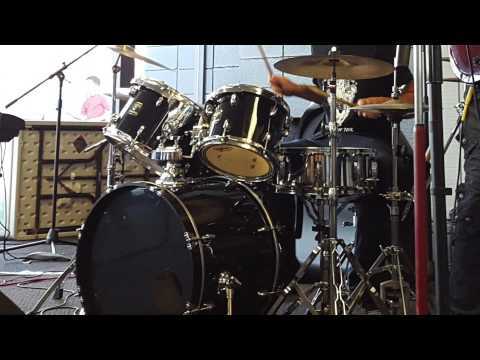 In less that a month my son was feeling confident enough to play in front of the camera and send family members video samples of his new drummer self! We couldn't be happier. Jesse M. is an Top Notch Music Teacher! Jesse M. is an outstanding music teacher who encourages students to find a love for music while they learn. He is patient and kind and very knowledgeable. He puts in extra effort to learn the childs interests, and incorporates that into the lesson. Thoughly satisfied, would refer Jesse M. to other parents! Jesse is an awesome teacher! I just started piano late last year with Jesse and he has been super encouraging, knowledgeable and enthusiastic. We switch it up each week so that every lesson is different and tailored to what I'm interested in learning. He is so passionate about music and it really shows in his teaching and it's infectious! He even arranges music nights at his place so we all have a chance to practice performing live. It's been so much fun, I highly recommend Jesse!! Jesse is not only a good musician but also a great instructor. He understood that I was a novice singer and was really patient with me. He taught me the importance of breathing technique as well as how to identify and count the music. I hardly write reviews but felt that he really deserves to be known by more people seeking an instructor. I would highly recomment Jesse to any of my family and friend who wants to sharpen their skills in anything related to music! My kids have been taking music lesson from Jesse for several months and they love it. They love the setting in the studio with multiple musical instruments, so that they can get to play other instruments in duets with Jesse. As a parent, I appreciate Jesse's method in teaching young kids. Jesse seems to have music in his heart and his passion can be easily seen by his students. Jesse respects my kids' opinion, yet very disciplined with their attitude. My kids seem to start appreciating 'music' in addition to learning 'skills'. My son started taking trumpet lessons with Jesse last summer, but soon confessed that he really didn't like the instrument. He asked if he could try drums. I suggested that he do that and perhaps try some guitar or keyboards also. 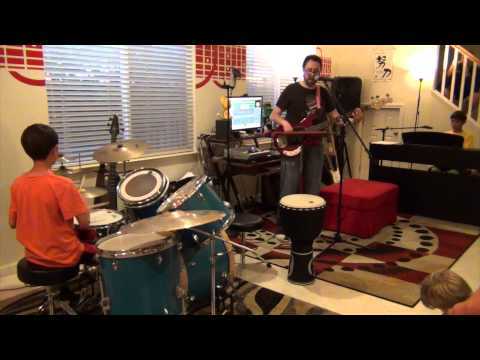 He has stuck with drums and loves it, but also asked Jesses to help him with a vocal song he'd like to perform for his school's talent show this spring. I LOVE the fact that Jesse can help him try out so many different aspects of musicianship in his fabulous in-house studio! The first "recital"/jam session was so amazing that my 9 year old daughter asked if she could also take lessons with Jesse. Now both of my kiddos are singing, Jamming and keyboarding together, and it is so much fun. I hated piano lessons as a kid. I was always in trouble for not practicing enough, but everything the teacher gave me to work on was so unappealing. I wanted a different music experience for my kids. I have found it with Jesse. He is so talented and inspiring. He listens to his students and gently moves them to accomplish amazing results. With his back help, even beginning students can feel like they are part of a band and really making music. I feel so fortunate to have found Jesse and for my kids to have such a positive and well rounded musical introduction. I have even decided to take guitar lessons for myself now! My husband had similar negative music experience as I did as a child and was very negative about my efforts to have our kids take music lessons at all until he came to the first recital/jam session at Jesse's studio. He loved it and could completely appreciate how much fun the kids were having learning how to play music in a more modern and flexible environment. I highly recommend Jesse. We have tried different options before, and Jesse is the one who understands my son's learning style. He is very attentive and tuned-in to both my son and us as parents, and we communicate all the time about how to best help him progress. He can go from classical guitar to any song my son wants to learn. 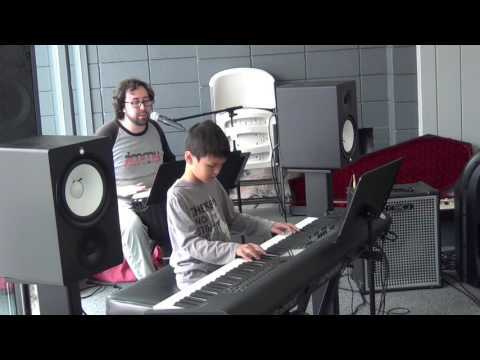 His house is set up as a studio, and it's a great environment for the lessons, with Jesse going from one instrument to the other to accompany children playing. He offers online tools to help with learning, uses apple technology, and in that sense, knows how to reach out to teens. I couldn't have been happier with Jesse. He was very patient and a great teacher. I would recommend him to anyone! My son was already taking piano lessons, but not liking it anymore. Other parents always advised me not to 'force' him to take any musical instrument because he'll end up hating it. But Jesse was recommended to me, so we gave him a try. My son liked the more relaxed atmosphere and attitude, and how Jesse completely tailors the lessons to my son's interests. Jesse also can teach ANY song that you want to play. Now my son likes taking piano lessons and looks forward to each of his weekly sessions with Jesse. Especially when they do a jam session! Wonderful, talented, supportive teacher! Choose him! Jesse is, by far, the best music teacher I have ever had. He is able to effectively leverage my existing knowledge in order to quickly teach me new ideas and concepts of both creating and playing music. I wanted a flexible and talented teacher who could reinforce theory on bass guitar, piano and voice. Jesse has seamlessly done this, and more! Some teachers play or dictate a lesson. Jesse "watches & listens" attentively and finds ways for the student to "connect" to the lesson. I have been playing music for over 30 years. I highly recommend Jesse to anyone: from novice to advanced artist. Choose him! We are so happy we found Jesse! My son has been taking trumpet and guitar lessons from him for over a year now. We take lessons in his home and having all the different equipment and instruments has been such a treat. Because of this, Jesse has also introduced my son to bass. Jesse also jumps on the bass, guitar, piano, and drums to accompany the lesson. He has fun with the kids and teaches them music theory at the same time. He also knows when to push and when to encourage their progress. One thing I especially appreciate about Jesse is how flexible he is with scheduling since many children have very busy schedules these days. I've recommended Jesse to two friends and they have enjoyed him too! I will continue to endorse him! Prahalad and I really enjoyed meeting with Jesse and having a trial lesson with him. Jesse is a kind, patient teacher and has a very nice way of interacting and getting the best out of his student. He is clearly a musician with diverse talents. He was able to give Prahalad an appreciation for different practicing techniques and reading tips. Due to various other considerations we are not able to take lessons with Jesse at the moment, but I would recommend him to others who would like to develop an appreciation for music and learn an instrument. -Jesse has been a great "find"!! He is quiet, pleasant, respectful of both myself, the grandmother and my grandson, Jacob, who is the one taking the lessons. He has a wonderful way with Jacob, very encouraging yet also gets across what he expects from Jake. We love him!! !